For anyone who is interested in adding more inquiry-based learning to their program but isn’t sure where to start, I highly recommend starting with Art. Art involves creativity, problem solving, making choices, discussion, and is generally open-ended. 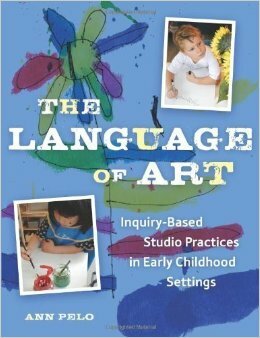 An excellent resource for dipping into art-based inquiry is: The Language of Art by Ann Pelo. This week at the Art Studio we were working with wire. 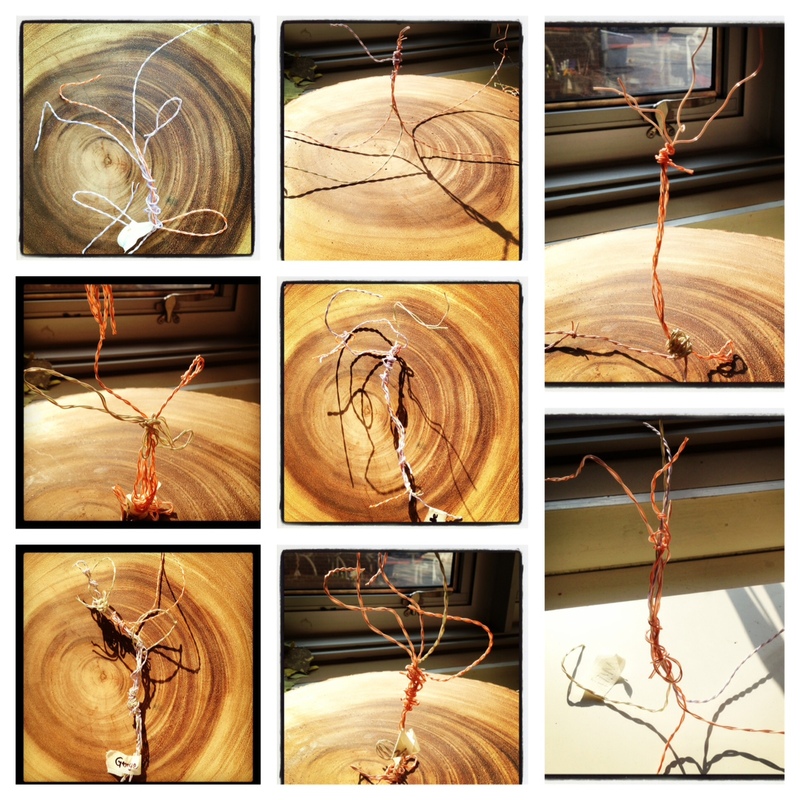 The goal was to work the wire into a sculpture of a tree. We have been doing a tree study and I was interested to see how the children might apply what they already know/have learned about trees while they created their sculptures. Wire is not an easy material to work with, save for the fact that it generally stays in the shape that you put it in, so I was also looking for the children to demonstrate some problem solving skills as they completed their pieces. Here is the provocation I placed at the studio. 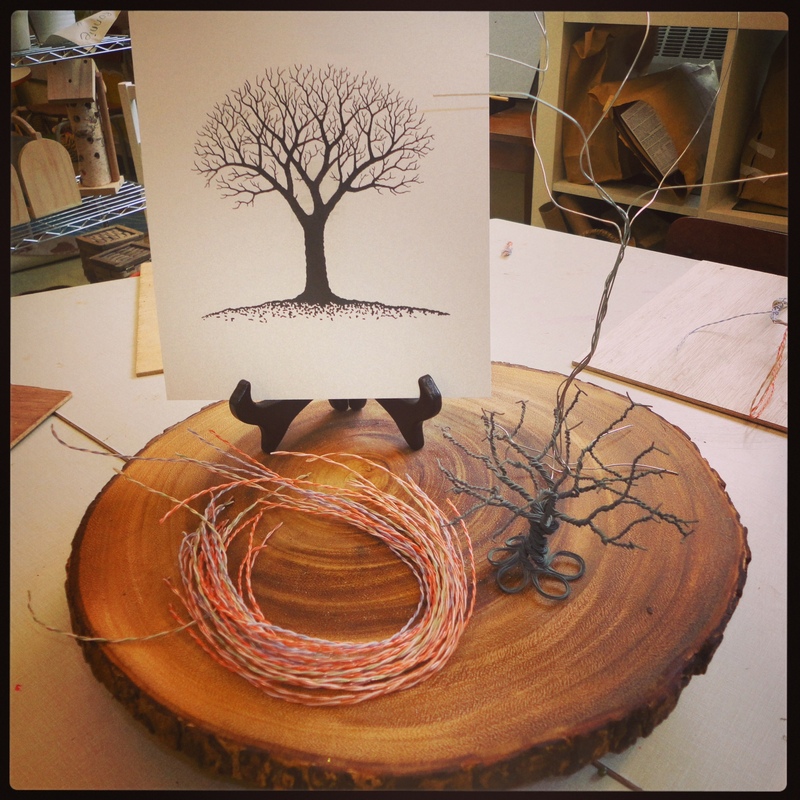 I happened to have a small wire tree sculpture at home that my husband had received from his former student. The children were quite inspired by it. Most children wanted to create a tree that could stand on its own. This proved to be quite the challenge, but I was encouraged to see that the children really persevered at the task and were incredibly proud when they achieved their goal. Sometimes we all just need a little encouragement from our friends!